Are you in need of reliable internal scaffolding for your residential or commercial premises in Brighton? If yes, you need look no further than Ace Scaffolding Brighton – the leading scaffolding experts in the Brighton area. 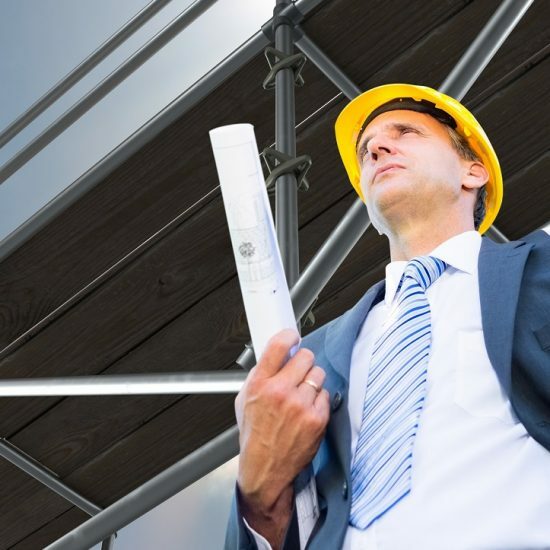 Our firm has been providing internal scaffolding solutions to Brighton businesses and property owners for years now and we can provide you with the same high quality of service we have come to be recognised for. Our exemplary services as internal scaffolding erectors are recognised by Brighton’s top building contractors. 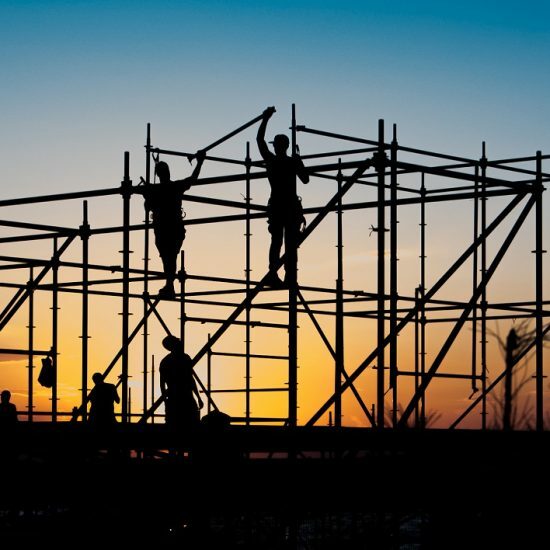 Whether you need internal scaffolding erected or dismantled fast and safely, we are the experts you can rely on. We only make use of the best quality materials so as to ensure optimal safety for not just our workers, but also your property and anyone else within it. 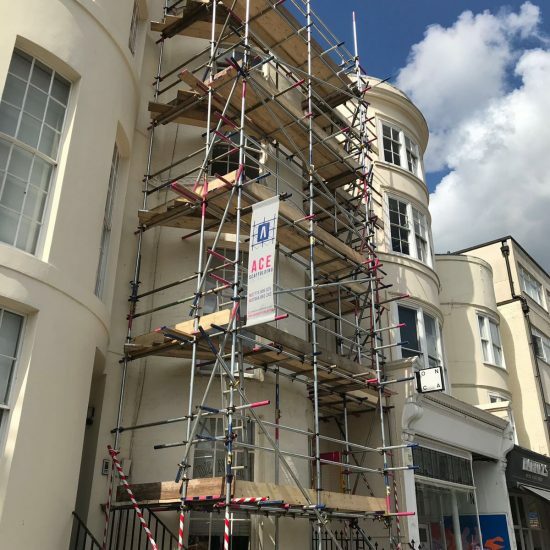 As an established and professional scaffolding company in Brighton, we are staffed by a team of fully trained and accredited professionals with years of diverse experience working on a variety of buildings. We never outsource any part of setting up or dismantling internal scaffolding, so as to ensure our clients enjoy a 100% guarantee on security, safety and quality. Regardless the type of building interior you need internal scaffolding, we can deliver to your complete satisfaction and at a great price. If you are in need of internal scaffolding from a professional in Brighton, call us now for a free no-obligation quote. Who uses Ace Scaffolding Brighton for Internal Scaffolding? 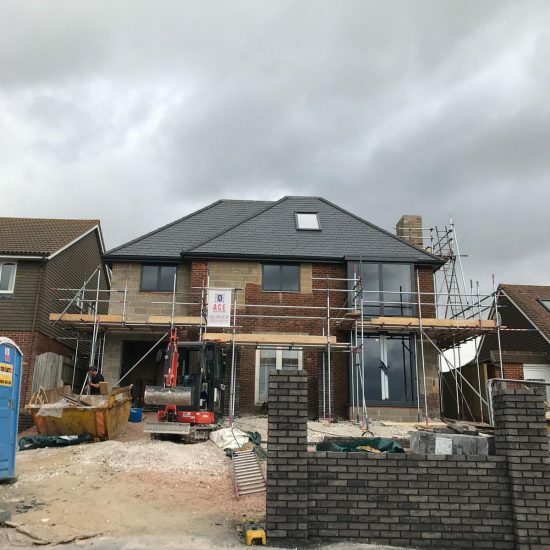 Our commitment to delivering the best internal scaffolding solutions with the best materials and results through distinct service excellence has put us far ahead of most scaffolding companies in and around Brighton. Building contractors and property owners come to us for scaffolding services because they know we always deliver quality and at competitive prices. Regardless of where your property is in or around Brighton, we can reach you to deliver internal scaffolding according to your specifications and to your satisfaction. 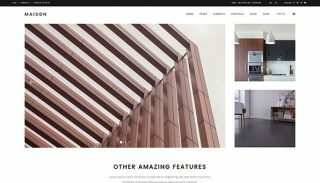 If you are uncertain about whether or not you need interior scaffolding, or to what degree you need it, we have a team of experts on hand to provide you with a free consultation and all the professional guidance you need. 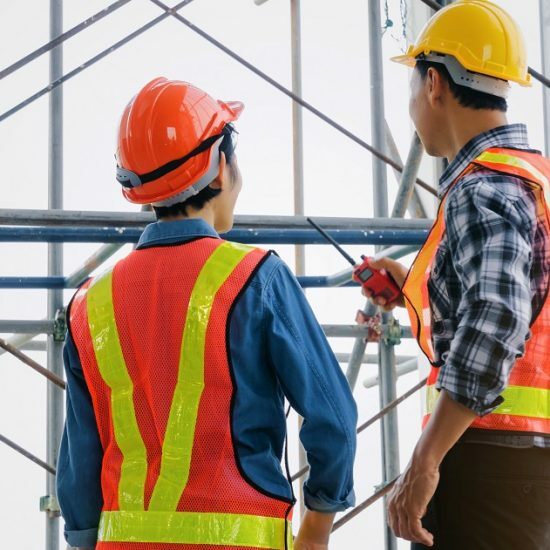 As the demand for professional and safety conscious scaffolders grows in Brighton, our company has responded by ensuring all our technicians are constantly updated on the latest best practices and safety regulations. 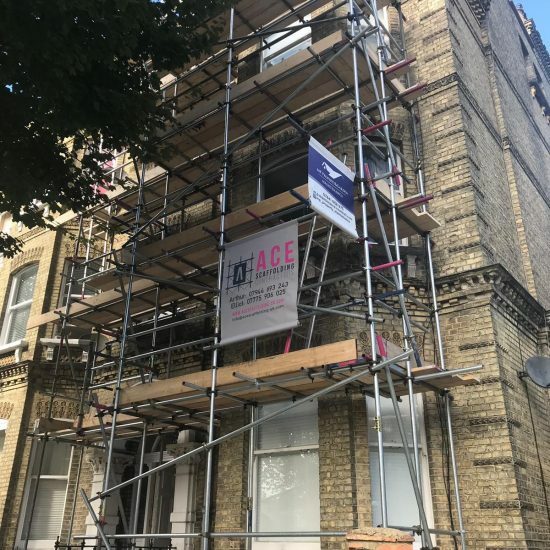 When you call on us, a polite professional from Ace Scaffolding Brighton will visit the location of your project to evaluate your property and needs so that the most fitting internal scaffolding solution can be provided. We have made several property owners and building contractors in Brighton happy over the years and we’d like to do the same for you. Contact us today to work with a scaffolding company with the necessary tools and expertise to deliver the services you need. Don’t settle for less! Call the pros, Ace Scaffolding Brighton, for internal scaffolding whose quality and functionality outshines all others. Why Hire Internal Scaffolding From Ace Scaffolding Brighton? The key to knowing if scaffolding is right for your needs is not just the quality, but also the price. At Ace Scaffolding Brighton, we deliver our services at highly competitive prices without compromising on the quality of our materials or services. You can call us at any time for a free no-obligation quote and rest assured that you are being provided honest rates and best value services. All our scaffolders are directly employed and CISRS registered. Every member possesses level 2 NVQ tube and fitting qualification, and have also received CITB safety awareness training. 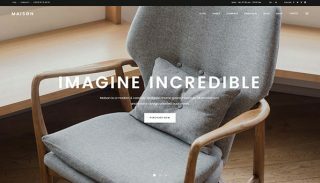 We never outsource any part of a client’s project to another party and we deal with all aspects of our services in-house. This way, we can guarantee that you are delivered the best possible service from start to finish. Our workers are also trained to work in line with the latest health and safety standards. Our scaffolding experience covers a wide variety of projects. 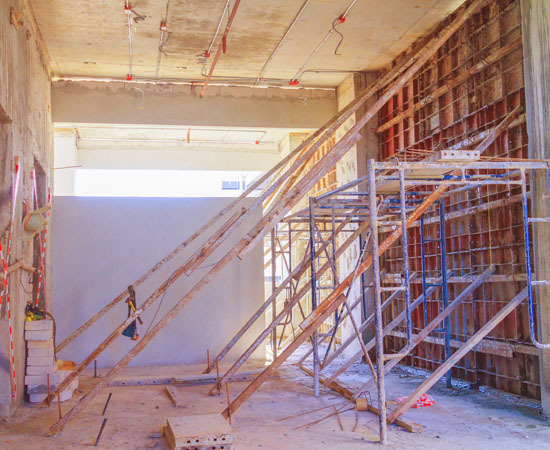 Regardless if your project involves a domestic, commercial, or industrial building that is still under construction, or an established building undergoing renovations or modifications, we can deliver internal scaffolding that is the perfect match for your needs. This could be for painting, ceiling installation or repairs, electrical works, or other project. Whatever the case, we can help. Our workers are trained to fully respect your property and its safety, as well as that of other people while delivering services. This is how we are able to ensure that we deliver the best possible services without causing any damage to person or property while erecting, maintaining, or dismantling an internal scaffold. But to ensure you are fully protected in the unlikely event of damage or injury, we have public and employee liability insurance to the value of £10m. This means you can rest easy while Ace Scaffolding Brighton is on your property. Working with an inexperienced scaffolder can result in all types of complications. Fortunately, this never has to be the case when you work with experts. We have been in the scaffolding business for several years now and have in that time amassed extensive experience in various aspects of scaffolding operations. 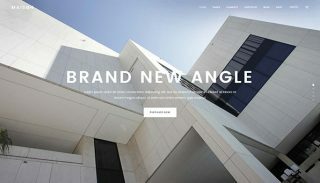 Regardless of the type of you building, or the size or complexity of your project, we are completely up to the task. We possess not only diverse expertise but also best tools and materials to help us deliver best results with ease. Call us now for a trial and you will not be disappointed. 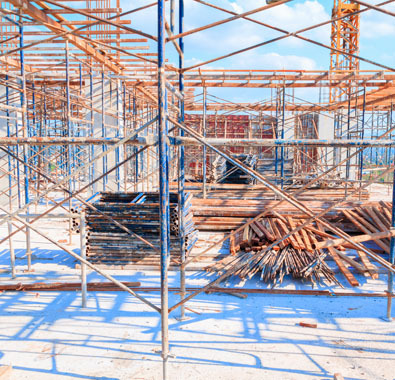 The tubes, fittings, boards, couplers and other components that make up our internal scaffoldings are all in line with the latest regulations and other legal provisions. We are available around the clock and every day of the week for emergency scaffolding services. Your emergency is our emergency so do not hesitate to call us any time you need a scaffolding expert fast in Brighton. 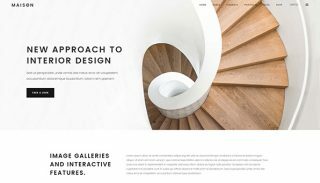 In every project, client satisfaction is always our first priority. We are at your service regardless if you need internal scaffolding solutions for a long or short term purpose. Once your project is complete and you no longer need internal scaffolding, our team will be mobilised at once so you can quickly begin enjoying your finished project. Our experts will arrive to dismantle and take down the scaffolding with great care and the utmost respect for the improvements to your property. If you are ready for great value, friendly and dependable internal scaffolding services in Brighton, give us a call today for a site survey and free no-obligation quote. Ace Scaffolding is proud to offer Internal/Indoor Scaffolding Hire in Brighton, a large town located in East Sussex in South East England. Hollingdean, Hove, Mile Oak, Moulsecoomb and Hollingbury are also part of Ace Scaffolding’s Internal/Indoor Scaffolding Hire area in the City of Brighton and Hove. Last in order but nevertheless important, Ace Scaffolding’s Internal/Indoor Scaffolding Hire cover the Brighton Municipality including Brighton Marina, Stanmer and Bear Road area. Call Ace Scaffolding in Brighton now for scaffolding services to take your project to new heights!